The Regular Season in Liga Metropolitana is slowly approaching the end. But there may be still some important changes in the final standings in the last 3 rounds. Here is the last round review presented by ESL. Leader ELOHIM delivered the seventh win on Thursday night. This time they beat 9th ranked Pampichi (1-4) 82-72. 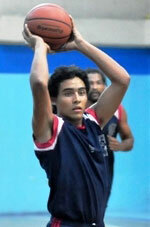 Point guard David Monterroso (180-79) fired 50 points (!!!) and 8 rebounds for the winners. Naturalized Salvadorean guard Ricardo Amaya (191-84) chipped in 11 points, 16 rebounds and 5 assists. 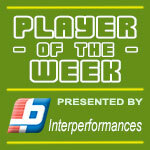 Diego Villagran (-93) produced 26 points for lost side. ELOHIM have a solid four-game winning streak. They maintain first position with 7-1 record. Pampichi at the other side keeps the ninth place with four games lost. Both teams do not play next round, which will be an opportunity for some rest. The game in was also worth to mention about. 5th ranked Villa Nueva (3-5) played at the court of sixth ranked GMS (3-2). GMS defeated Villa Nueva 85-69. Worth to mention a great performance of Erick Palma (-80) who helped to win the game recording 23 points, 8 rebounds, 4 assists and 4 steals. Julio Barrios contributed with 12 points for the winners. GMS's coach allowed to play the deep bench players saving starting five for next games. 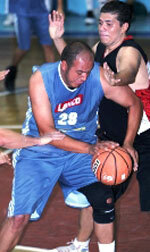 Guard Alejandro Carrillo (178-88) replied with 22 points and 7 rebounds for Villa Nueva. GMS have a solid three-game winning streak. They moved-up to fourth place. Villa Nueva at the other side dropped to the sixth position with five games lost. Both teams do not play next round, which will be an opportunity for some rest. Leader ELOHIM delivered the seventh win on Thursday night. This time they beat 9th ranked Pampichi (1-4) 82-72. Point guard David Monterroso (180-79) fired 50 points (!!!) and 8 rebounds for the winners. Naturalized Salvadorean guard Ricardo Amaya (191-84) chipped in a double-double by scoring 11 points, 16 rebounds and 5 assists. Diego Villagran (-93) produced 26 points and forward Gilberto Escobar added 22 points and 4 assists respectively for lost side. ELOHIM have a solid four-game winning streak. They maintain first position with 7-1 record. Pampichi at the other side keeps the ninth place with four games lost. Both teams do not play next round, which will be an opportunity for some rest. The game in was also worth to mention about. 5th ranked Villa Nueva (3-5) played at the court of sixth ranked GMS (3-2). GMS defeated Villa Nueva 85-69. GMS forced 19 Villa Nueva turnovers. Their players were unselfish on offense dishing 21 assists. Worth to mention a great performance of Erick Palma (-80) who helped to win the game recording 23 points, 8 rebounds, 4 assists and 4 steals. Julio Barrios contributed with 12 points for the winners. Four GMS players scored in double figures. GMS's coach allowed to play the deep bench players saving starting five for next games. Guard Alejandro Carrillo (178-88) replied with 22 points and 7 rebounds and Enrique Samayoa (193-82) added 15 points and 5 assists in the effort for Villa Nueva. GMS have a solid three-game winning streak. They moved-up to fourth place. Villa Nueva at the other side dropped to the sixth position with five games lost. Both teams do not play next round, which will be an opportunity for some rest.